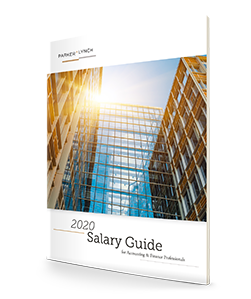 Our 2019 Accounting and Finance Salary Guide is here—download your copy. Your top resource for aligning with high-level accounting & finance professionals. What's in our accounting and finance salary guide? See the latest salary figures that are specific to your local market. Know the updated roles and responsibilities of high-level professionals. Read about the latest labor market trends that could affect your business. Know the salaries that managers, directors and executives expect. Be able to clearly convey the roles of your top employees. Equip your managers with hiring confidence and expertise. Improve your hiring, retention and workforce planning efforts in 2019. To get the knowledge and accurate salary data that will ensure you hire and retain the best-fitting, high-level talent for your business. Fill out this form to download your copy of the guide! Are you an employer or job-seeker?